Something that we were supposed to do this weekend was to collect forest treasure to make our own wreaths and crafts but our timing didn't work out. 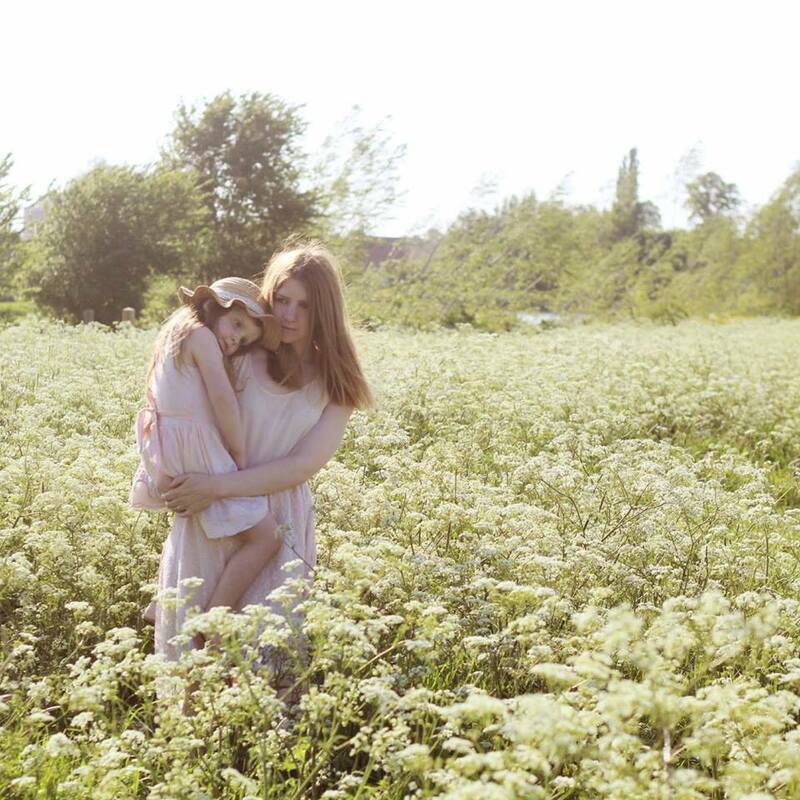 I am still hoping to take the girls to the forest to do this on another day. Every time i think of festive decorating, i think of wreaths on doors and garlands of nature hanging around the house. I really hope that next weekend we can do this! Three years ago, the girls made their own Christmas crowns as part of their advent activity. 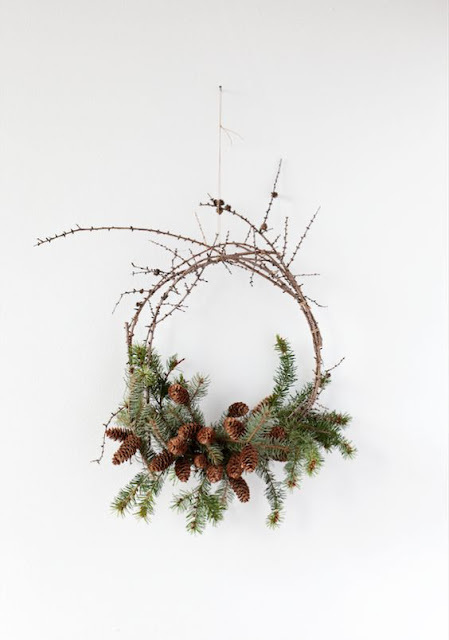 I wanted to share some of my favourite ways with you to use wreaths and nature finds in the home for Christmas. These have given me such inspiration and i wish i could put a wreath or garland in every window! We currently have bunting in my front bay window and i am hoping to make a nature garland to hang there this week. 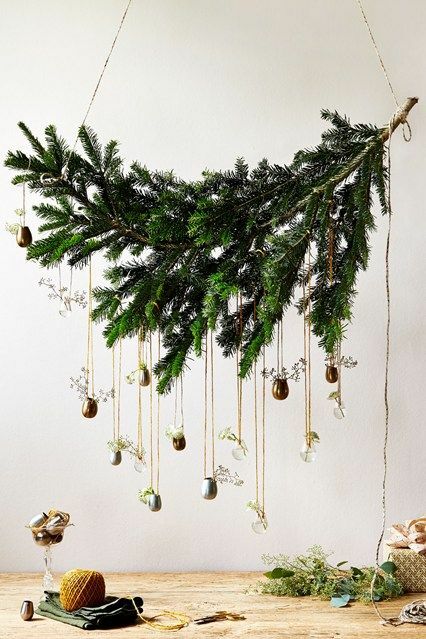 I love the idea of make a hanging with branches from pines trees. In a local forest near us, there are so many cuttings and fallen branches. The girls bought some home last time to put in their rooms because the smell made them excited for Christmas. 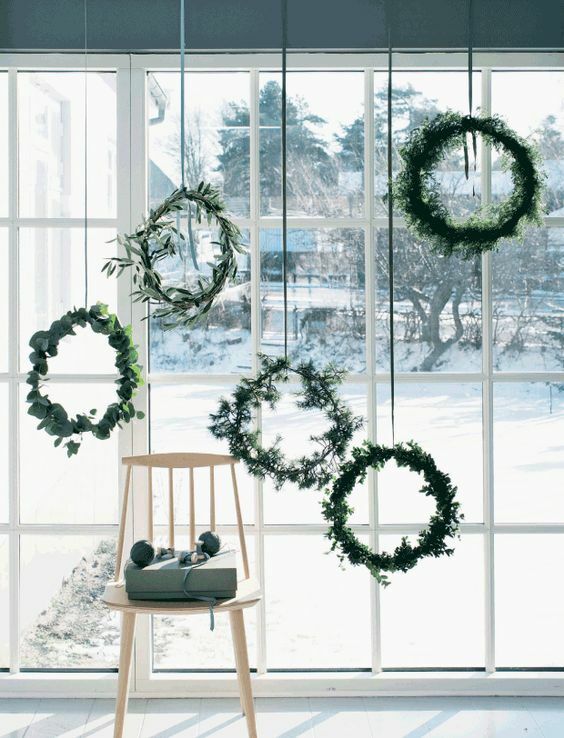 Making lots of different hanging wreaths would be perfect for a room such as a conservatory. I love the different types of nature material here. I think a conservatory (or an extended room) is a difficult place to decorate because now there is the option of UPVc bifold doors like these from Albion, the windows are larger and stretch across the back of the house which makes it harder to find a good feature to decorate with. These wreaths are just simple and understated but really make the room feel festive. Here is another great use of branches. I love the baubles hanging from it. 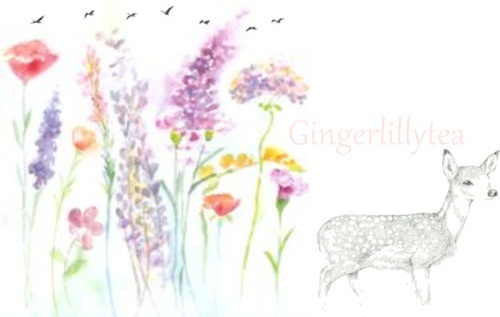 This would look wonderful on a wall but would also work in a window or above the dining table if you have tall ceilings. 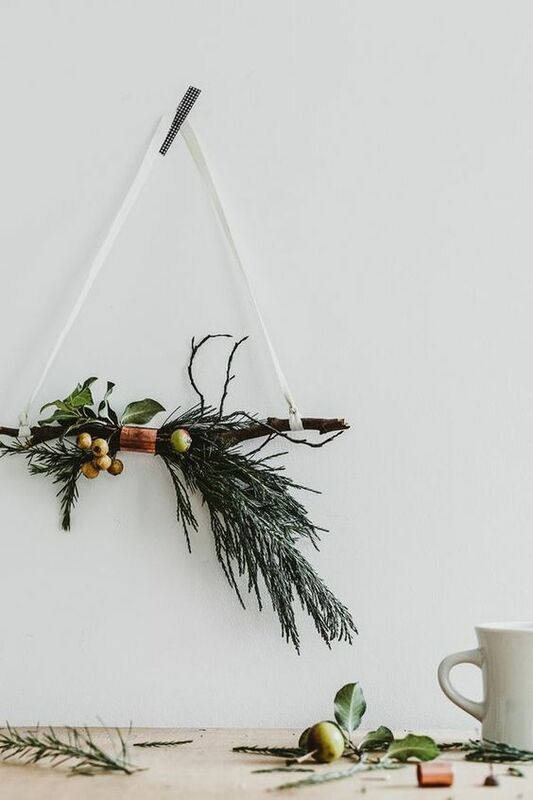 I would love to eat my Christmas dinner underneath this beautiful hanging! 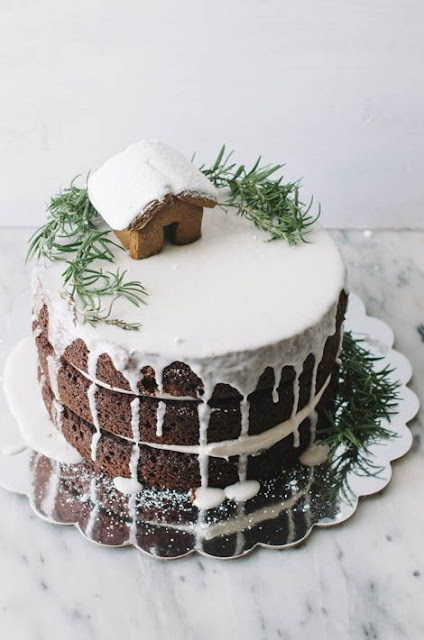 As well as decorating the walls and windows, i love the idea of using nature finds to decorate your bakes and food. How amazing does this cake look by the way! 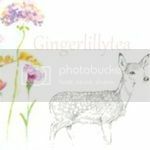 I am hoping to make a cake this year and have some deer ornaments to put on top. I shall also be getting some pines to decorate the top as well! 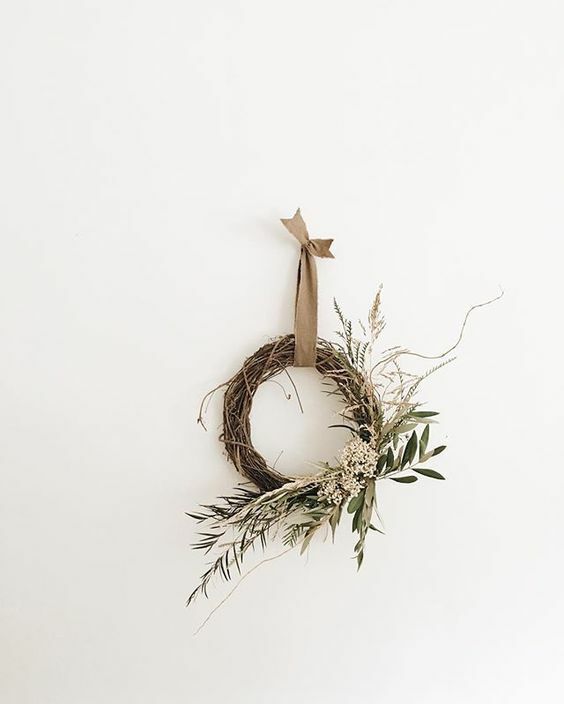 A simple wreath. I love this wreath as it is so understated and can be played around with. The twig base with the plant cuttings can be changed up with other materials. I would love to make something like this for our door and it would also look wonderful hung on the wall. This sort of wreath would look lovely as a focal feature on a dining room wall next to the dinner table. P.s I saw this DIY and i thought of you and Elle and Mia!